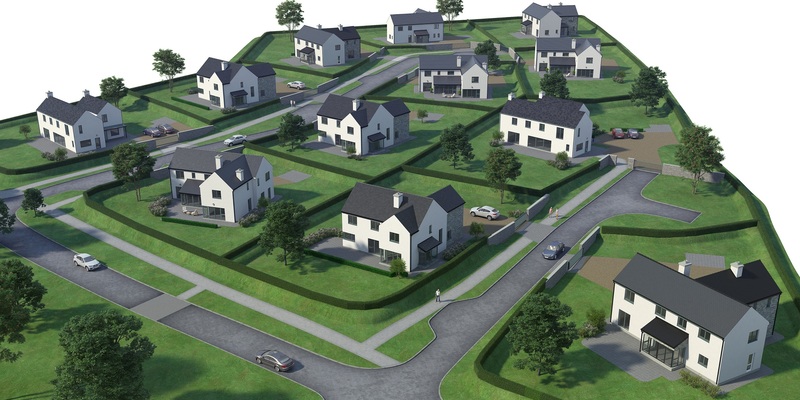 We are delighted to announce that Phase 2 of the Earls Well development in Waterfall, Co. Cork has been launched on the sales market by Savills Auctioneers Cork. Walsh Design Group acted as Design Leader for these large detached houses which sit on landscaped sites of between c.3 to c.5 acres. These contemporary houses incorporate stunning architectural features. The houses carry an A3 BER energy rating and are designed and built to a very high spec. There is under-floor heating to ground floor with a modern energy-efficient air to water heating system used. Walsh Design Group are proud to have been at the design forefront of this prestigious development. See the following article in the Irish Examiner of 11 March 2017, detailing the sales launch.